In our increasingly global economy, it’s no surprise that more and more businesses are going global with their contact centers. This trend is driven by many factors including international acquisitions and the availability of highly skilled, lower cost talent in many parts of the world. 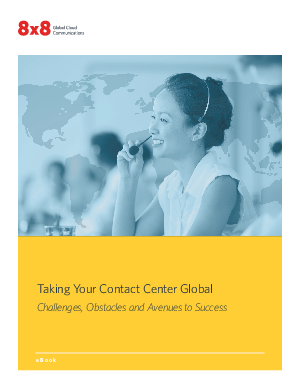 This eBook Taking Your Contact Center Global explains the top challenges businesses must surmount when expanding internationally and what they need to know to be successful.